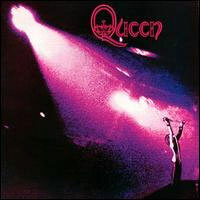 As Highlander says, “There can be only one.” And of course, this is the ultimate Queen statement, the album that sent them soaring into the stratosphere. For good reason, too: even putting aside the untouchable, legendary “Bohemian Rhapsody,” this disc created a totally cohesive statement from some of the most diverse, often decidedly un-rock ‘n’ roll elements. What other band could sandwich a crunching ode to autophilia sung by the drummer (“I’m In Love With My Car”) with a sweet, tender pop song written by the bassist (“You’re My Best Friend”) and a folk tune about suspended animation (“’39”) written and sung by the guitarist? It’s an incredible testament to this fearsome foursome (guitarist Brian May, bassist John Deacon, drummer Roger Taylor, and frontman Freddie Mercury), whose individual creative visions combine to make something truly special that has stood the test of time. In a last minute switch-up, I demoted A Night At The Opera’s twin sibling A Day At The Races and swapped in this disc. Home to two of the most famous Queen songs of all time (I still get a twinge of happiness when I hear the stomp-stomp-clap at basketball games), this album found Queen on the cusp of punk but still doing things their own way. So while you get songs like the raucous “Sheer Heart Attack,” there’s also the haunting harmonies dedicated Brian May’s deceased cat (“All Dead, All Dead”), jaunty maracas on “Who Needs You,” and the gloriously bluesy “Spread Your Wings.” Meanwhile, I think I listened to “It’s Late” every single day for a year, a delightfully underrated slab of rock goodness that pairs nicely with the closer, Mercury’s boozy, subdued “My Melancholy Blues.” News Of The World was Queen on top of the world, and for good reason. 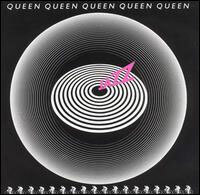 This was the first Queen album to contain synthesizers, a concession to the ‘80s that worked well enough on this disc but would come to haunt them on later forays. The singles from The Game are still staples on classic rock radio: John Deacon bringing disco to the band (and getting his first #1 single) on “Another One Bites The Dust” and the Elvis-inspired “Crazy Little Thing Called Love” (written by Freddie in his bathtub!). 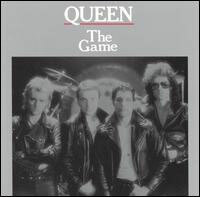 Meanwhile, “Play The Game” is a fun foray into synths and featured the debut of Mercury’s mustache in the video, while the Brian May-penned “Save Me” is one of their best ballads ever. This is one of the more straightforward Queen discs, solidly enjoyable but a little less baroque than their prior outings. This was always the disc I turned to when I had played A Night At The Opera too many times. As any doomed follow-up to a beloved predecessor, this release always gets a bit of flack. But while less ambitious than Opera, it’s hard to quibble with the epic tenderness and soaring harmonies of “Somebody To Love” or the joyous frivolity of “Good Old-Fashioned Lover Boy.” Some tracks misfire: “Drowse” lives up to its name, and “The Millionaire Waltz” becomes indulgent at times. Still, stay tuned for closer “Teo Torriatte (Let Us Cling Together),” the band’s dedication to their time in Japan, a reminder that amid Queen’s massive hits, there are still forgotten gems to be unearthed. 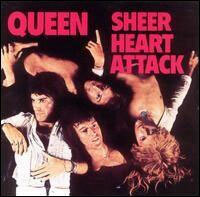 Sheer Heart Attack was a band on the verge of a breakthrough. “Killer Queen” was their first big single, veering away from their hard rock roots and announcing their devotion to meticulous arrangements. May’s guitar provides a crystal-clear tone that is so recognizably his own, while the multitracked harmonies create the embracing tonal ambiance that is signature Queen. Songs like the chugging, layered “Now I’m Here” and the gorgeously swaying “In The Lap Of The Gods...Revisited” remained concert staples through their career, connecting Queen with their early sound even as they charted new waters. Sheer Heart Attack is a little piecemeal as a record, but it gives a glimpse of the band’s ambitions, as they would only stay on the brink for so long. Innuendo is always a tough listen, released right before Mercury’s untimely death in 1991; it’s the textbook definition of bittersweet. From the suitably epic, slow-burning opener “Innuendo,” the pure, roiling rock of “Headlong,” and the haunting falsetto and spare instrumentation on “Don’t Try So Hard,” this disc is a fitting testament to Mercury’s legacy. I don’t feel it’s an overstatement to call closer “The Show Must Go On” – in which Mercury downed a shot, then belted out one of his final and finest vocal performances – a testament to the power of the human spirit. I waffled on how to slot Queen II and Queen, which I view as two halves of the same whole: a breathlessly young yet wildly inventive rock band navigating their way into the music scene. 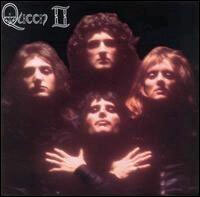 But I went with Queen II because it seems to have the most threads to the band’s later sound: from the elegant and masterful arrangements on “White Queen (As It Began)” to the tone-shifting free-for-all on the six-minute “March Of The Black Queen” – not to mention some positively epic soloing from May on “Father To Son” – it’s fascinating to spin this one and see the nascent roots of greatness already beginning to burgeon and flower. Queen’s first statement as a band is a far harder rocking affair than we’d come to think of Queen – it’s almost Zeppelin or Sabbath-esque in heaviness, with a lyrical spirit akin to Tolkien. Opener “Keep Yourself Alive” is sparkling and catchy with a chunky guitar line and pre-signature Queen harmonies, while “Liar” is their first foray into ever-changing tonal shifts, from pleading balladry to an all-out rock breakdown. It’s incredible that this early set of tunes has such a self-assured energy to it, and it set the stage well for Queen to conquer the rock world. 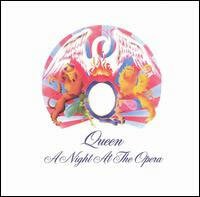 Jazz is a bit of a mixed bag, released hot on the heels of some of Queen’s biggest singles. 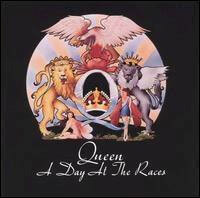 But this is the sound of a band having some fun – what else can account for “Fat Bottomed Girls” and “Bicycle Race”? Still, the spirited “Don’t Stop Me Now,” in which Mercury awards himself the nickname “Mr. Fahrenheit,” is always a joy to listen to, and “Dreamer’s Ball” is a lovely slow waltz. I tend to skip over some of the cuts here, like opener “Mustapha” and the on-the-nose “Let Me Entertain You.” Jazz finds Queen in kind of a holding period, rejiggering themselves in tune with the new sounds of the time. I actually like this album quite a bit and was surprised at my own ranking of it; but to be fair, this patchwork quilt of songs released posthumously in 1995 doesn’t quite live up to the “album” experience precisely because it’s culled from outtakes and old songs from before Mercury’s death. 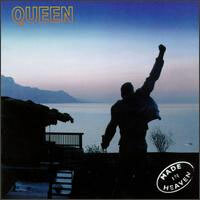 Still, the songs themselves are all lovely (if at times overproduced), particularly Mercury’s version of the Brian May solo track “Too Much Love Will Kill You,” the heartbreaking final Mercury performance “Mother Love,” and “It’s A Beautiful Day,” which manages to make an ephemeral ballad out of a snippet of Mercury’s vocals rescued from The Game outtakes. Made In Heaven is a tender, worthy ode to Mercury’s memory. 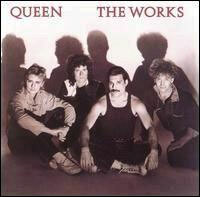 Smack in the synth-laden era comes The Works, which followed up the much-derided Hot Space. There are some good tracks to be found here – “Hammer Fall” is a Cold War rock ‘n’ roll jam, “I Want To Break Free” features the cross-dressing video that got the band banned from television, and “It’s A Hard Life” is a baroque Mercury love ballad as only he could do – but songs like “Machines (Or Back To Humans)” and “Keep Passing The Open Windows” sound overlong and dated. 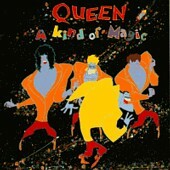 This is a Queen disc that needed a little more of the Queen spirit – that wacky inventiveness that sets them apart. This batch of songs was released as an accompaniment to the Highlander film, and it’s pure ‘80s Queen fun. Though not as lyrically deft as some of their other material, the bouncy energy of “One Vision” and “A Kind Of Magic” are endlessly listenable, while “Who Wants To Live Forever” is a gorgeous, enduring standout – and one of Mercury’s best vocal performances to boot (check out the Live At Wembley ’86 version, too). Tracks like “Gimme The Prize” and “Don’t Lose Your Head” are unnecessary, but skip past them and you’ll have something that approximates a solid, if fluffy Queen album. 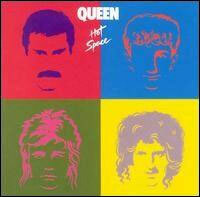 Ah, Hot Space, probably the most roundly despised of all Queen discs. 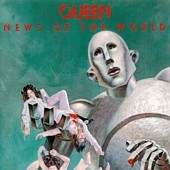 They fully embraced disco and synths on this one, but there are actually some forgotten gems to be found amid this thoroughly ‘80s hodgepodge – and no, not just “Under Pressure!” The guitar solo on “Back Chat” is delicious, as are Mercury’s sultry vocal stylings, while “Staying Power” is throwaway fun with its punchy horn section (though it’s even better live), and “Las Palabras De Amor” is a nice love song. Hot Space doesn’t deserve all the hate it gets, but it’s definitely not an album you’ll listen to regularly. 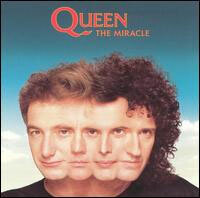 One of Queen’s most forgotten albums, and probably for good reason. The Miracle was recorded amidst Mercury’s HIV diagnosis and the dissolution of May’s marriage, and this disc pulls between themes of self-examination and dissolution. Skip “Party” and “Khashoggi’s Ship,” but revel in Mercury’s throaty vocals and the triumphant harmonies on “I Want It All,” as well as the rip-roaring guitar solo from “Scandal.” It’s telling that even on one of their patchiest albums, there are still standout hits and forgotten treasures to be found.